Those words were given to me by the lawyer at the forefront of the legalization movement for medical cannabis in Florida. And on that day, he wasn’t losing. 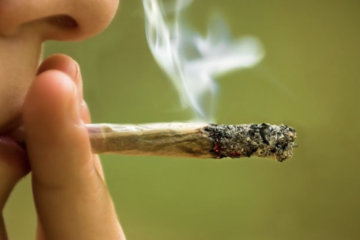 He had just gotten a very good ruling in his case to demand smoking of the herb in his state, as dictated by the ballot initiative known as Amendment 2. 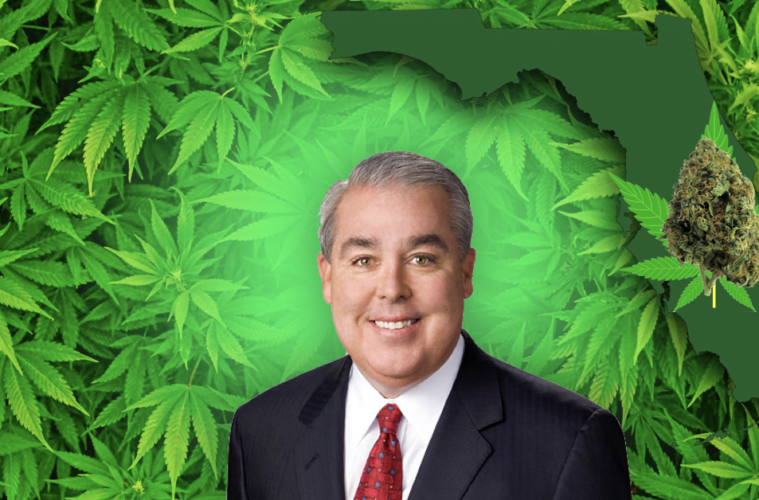 It had been six months since Morgan, the omnipresent Florida attorney and head of one of the largest law firms in the country, filed the lawsuit against the Florida Department of Health in Leon County’s 2nd judicial circuit court to allow smoking of medical cannabis in accordance with the constitutional amendment he helped to pass. 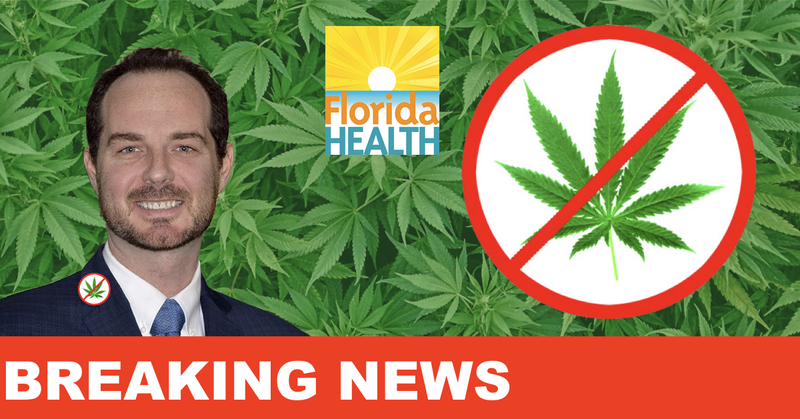 Despite 71.3% of Florida voters approving the measure, the state legislature blocked the right to smoke the medicinal herb which Morgan stated was mandated in the language and intent of the ballot initiative. For six months, delays from the DOH and standard legal procedural waiting time, slowed the progress of the case. Article X, section 29 of the Constitution, born from amendment 2 stated that smoking was not allowed in certain areas. Logically, that would mean that patients would have a constitutional right to smoke in approved areas. 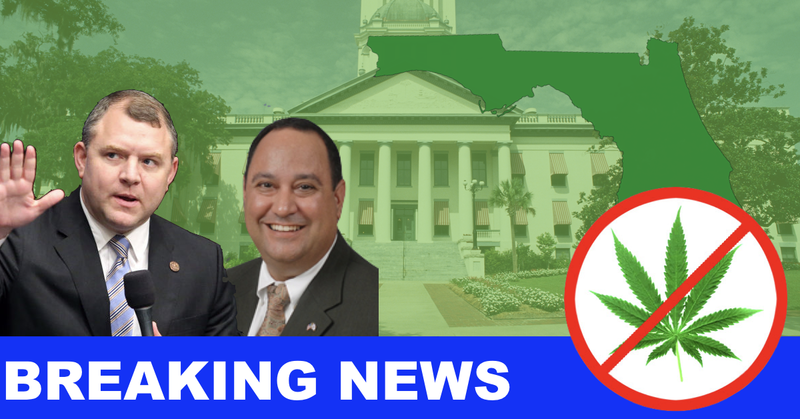 But logic comes at a strangely high premium in Tallahassee, and the legislature and DOH seem hell-bent to block legal medical cannabis patients from full access to their medicine. One year had passed since the law constitutional amendment became active, and yet attorney and former Speaker of the House John Mills stood in front of Judge Karen Gievers, defending against the DOH’s Motion to Dismiss the legal action to affirm the law. From the Attorney General’s office, Deputy Solicitor General Rachel Nordby stated that the amendment was not specific about mandating the right to smoke, which allows the legislature or the DOH to regulate smoking, including the ability to ban it altogether. Mills, one of the authors of the original ballot initiative and subsequent amendment, noted that it didn’t make sense for the legislature to specifically disallow smoking when it was already established that access was a constitutional right. The state also challenged the legal standing of PUFMM (People United for Medical Marijuana), the group that worked with United for Care to file the petitions to put Amendment 2 on the ballot. 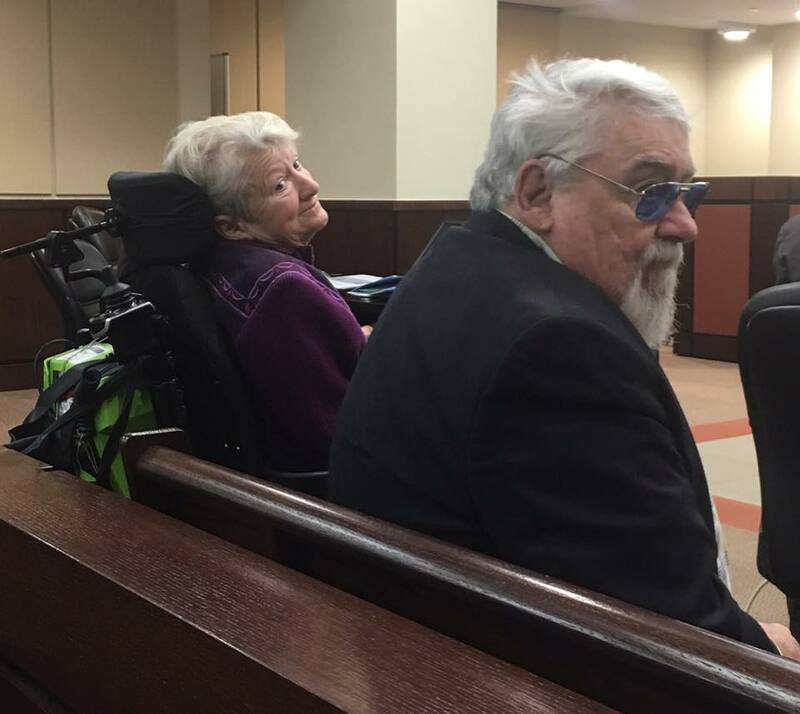 They also challenged the standing of one of the plaintiffs, Cathy Jordan, who sat in the courtroom in her electric wheelchair listening to the proceeding with her husband, veteran and PTSD patient Bob Jordan. Cathy, who has had ALS since 1986, has been a standard bearer of the legalization movement, fighting for the rights of patients, and for good reason. If it were not for smoking medical cannabis, she would have died in 1990. Social Security even tried to stop her benefits in the 1990’s claiming that she had “passed her expiration date.” But at 68, Cathy is as feisty and determined as ever to fight for the right to smoke the herb. “Cathy and Bob, aren’t just doing this for themselves, they are concerned about everyone who could benefit from this medicine,”stated Mills. Mills noted that the state had argued that Cathy, who had been allowed to get the medicine grown by Bob, lacked standing because she did not have a medical card. That fact had been remedied in the months leading up to the hearing. 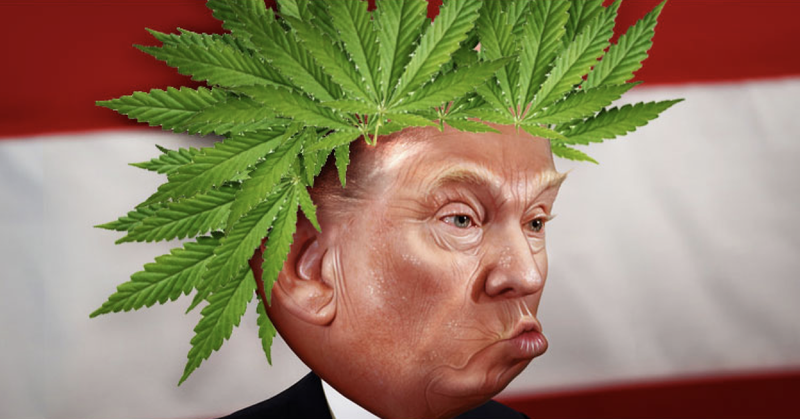 Cathy had already been verified as having standing in federal cases to legalize cannabis, but the state argued that her position was different in Florida.The judge also noted omission’s in the “four corners of the complaint” for the verification of standing for PUFMM, the political group that was behind the ballot initiative. I would think that keeping people alive is definitely a safe use that demands availability. Hopefully, Judge Gievers will come to the same conclusion. Just yesterday, she ruled that Joe Redner, a cancer patient who went from stage four lung cancer to remission by consuming the juiced whole plant, had the constitutional right to possess a living plant, opening the door to home grow for others in the state. The judge then thanked everyone for their testimony and promised to take the testimony under advisement and rule as soon as possible. For patients like Cathy, soon couldn’t come soon enough. It was time for the decision between breaking the law to live or wait for the law to be changed to become a mute point. The wait wasn’t long at all. 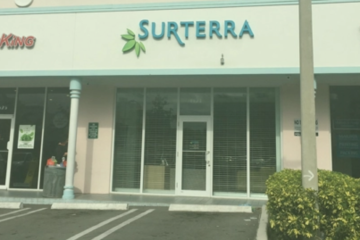 Judge Gievers posted her decision on the very next day, and it was good news for Morgan, Jordan, Mills and all the patients in Florida who need to smoke the full unprocessed herb, with the full “entourage effect” for its health benefits. In her ruling, the judge denied, in part, the State’s motion to dismiss the case, because she found that Cathy now had full standing in the case. She allowed the state’s motion in regards to PUFFM’s standing, but told Mills that he would be allowed to amend the complaint. She also requested an expedited trial, since Cathy was over 65, making the move to trial faster than expected and possibly fast enough to be completed during this legislative session, which is expected to end March 6. Mills and Morgan stated that they will amend the complaint as requested, and move to trial. Bob and Cathy were ecstatic about the ruling. Of course, if they ultimately win, this means more work for the legislature, who must now change the law and statute so that new rules and regulations can be written by DOH. The current law, written last session to implement the Amendment, prohibits smoking as well as home grow, which is also being challenged and about to go to trial, after Judge Gievers recently ruled that the plaintiff in that suit, adult entertainment mogul and cancer patient, Joe Redner, had the constitutional right to possess a growing plant, according to Article X, Section 29. There are several in the legislature, including Majority Leader Rep. Ray Rodrigues and Speaker Richard Corcoran, who had stated that they “didn’t have the stomach” for a clean-up bill to fix any problems and concerns regarding the new law which came from Senate Bill SB8A, written during a special session last year. They had hoped to sit back and watch the implementation of the bill this year, which looks like a horror movie being played out as a reality show, with thousands of patients still awaiting medical cards, some of whom died waiting. But one legislator, Rep. Carlos Guillermo Smith from Orlando who has been a staunch supporter of full access to the plant, was extremely pleased with the current results. But for Morgan, Cathy and Bob Jordan, the other plaintiffs in the case and all of the patients in Florida, which include thousands of veterans with PTSD, the money to fight the state couldn’t have been better spent. After all, for many, it is a matter of not only the right to smoke, but the right to live and live well. 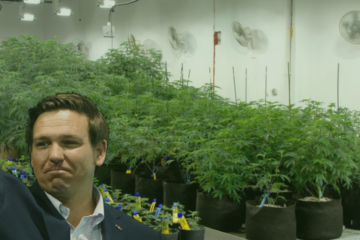 Next ArticleIs Governor Scott Purposely Slowing Down the Medical Marijuana Program?